In today's global economy, money plays an important role in every phase of life. How to deal with money is a common question every individual is concerned about. People have the talent to earn money but are not equipped enough to preserve it. This is where financial planning plays a major and important role. Financial Planning professional or Financial planners advice and help their clients to decide on a long-term or short- term investment. On-Campus and Online Finance degree programs may help to gain sufficient knowledge for handling financial matters and lead the clients/customers on appropriate path of making accurate and precise decision. 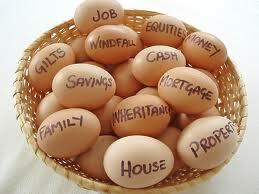 Financial planning deals with individuals and corporate clients. Financial planner works hand in hand with their clients to present a wide range of unique ideas targeted to enhance and secure the financial aspect. Financial planners tend to remain associated with their clients for years together, revising their schedules as per the economy norms, helping to achieve long and short-term goals, and providing personal advice. A financial planning career may be rewarding and lucrative as well. Finance careers may prove to be very remunerative for those with an inclination for numbers and figures. Finance degree educates an individual about money management, ethics, customer care service, mathematics, accounting and several other aspects of business. Pursuing a new career path or advancing your current designation; a degree in financial planning provides the necessary skills that might be helpful to develop and achieve the desired goals. Certified Financial Planner (CFP) is the first choice as she/he will have a license to practice his/her profession and can handle various aspects of the commercial world at times as compared to a non certified professional. Financial planners are actively involved and also help their clients to examine the current and long-term financial situations. Majorly they help the investors on taking decision for various investment plans and providing best guidance. They advice their clients on what types of investments to put their money on, how to save and increase income of organization. Personal Financial Advisors engaged in the process of direct selling or buying of stock, insurance policy, bond or any particular investment advice require a set of license that differ by products they sell. Small organization that handles client's investments requires registration with the governor and large-scale organization requires registration with the Securities & Exchange Commission. A certified financial planner professional must fulfill licensing criteria along with CFP certified examination. State board approved license is needed for selling insurance. More details about licensing can be available from the NASAA (North American Securities Administrators Association. Eligibility: Minimum bachelor’s degree with relevant job experience. Ideal for: To become a professor in the business university or achieve highest level of status in economy phase. Best suited for: Personnel who wish to seek a high level status into a fiscal field. Ideal as: Entry and Mid-level occupation. Students can go for a bachelor's degree to find better jobs within the monetary and accounting world. Duration: 9 month – 1 year. Best suited for: Mid level positions within various sectors. Designations such as Real Estate Broker, Insurance Sales Agent, and Loan Officer might be earned. Education: Minimum Bachelor’s degree in any discipline from the accredited college or university. Exam: To pass the 10 hours long exam consisting of multiple choice questions. Experience: 3 years of professional experience in relevant field. Ethics: You must be ready to bond with the high standard code of morals structured by the board. Financial Planning career might be very rosy. According to BLS projection, an employment opportunity available for an expert in finance is predicted to grow at a much faster than normal rate until 2016. Certified Financial Planners might have a better opportunity than other planner/advisors as they obtain the CFP certification which will add a good amount of goodwill in their reputation.